This post with the Top Beauty Products for Men was sponsored on behalf of Mirum. My husband is a pretty low maintenance guy overall. Sure he has his tech obsessions that come with being in IT, but when it comes to grooming or fashion he just goes with whatever I pick up for him. While we might label them grooming products or toiletries, know that men need beauty products too. And not ones that they’re sharing with you. Men need products that are made for their body and that smell manly. 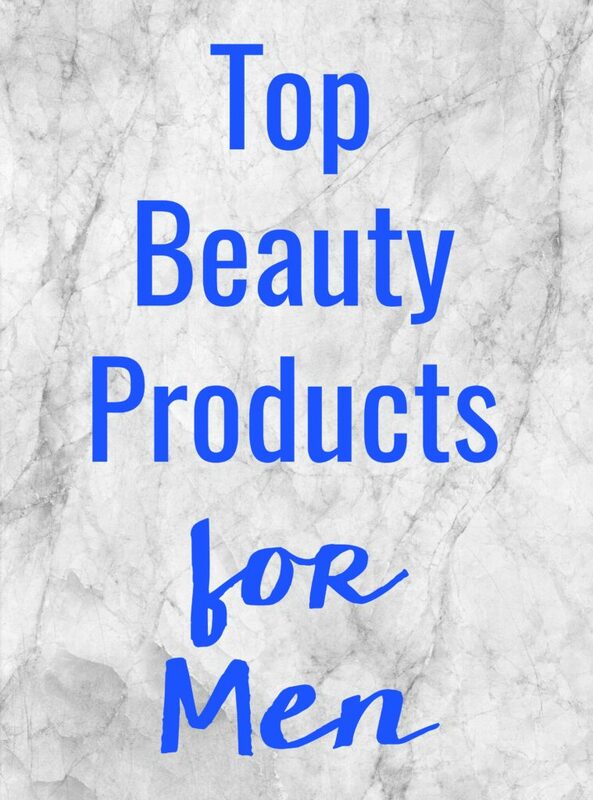 If you have a low maintenance guy like me and are also the one that does the shopping in your family, you’ll want to make sure you use this list of the Top Beauty Products for Men. Toothpaste. When I see someone, a person’s smile is the first or second thing I notice. Having fresh breath and a white smile is one of the most important parts of personal hygiene routines. Razor. Having a good quality razor is essential for personal care. My suggestion for selecting a men’s razor is for as many blades as possible. Deodorant. Whether you’re camping out or going to work, having a deodorant that will keep you dry and is suited for your man’s lifestyle is key. My husband likes Degree spray deodorants that are targeted for the things he does like running and working outside. Face Wash. If your man has specific skincare issues, like adult acne, a face wash that’s suited for your skin is necessary for keeping his face looking clean and minimizing problem areas. If not, a body wash + face wash is the way to go. Body Wash. Whether you go with liquid or bad, having a quality body wash is essential to smelling fresh and staying clean. My husband loves Dove Men + Care Body+ Face Wash because of the scent and he’s able to have one product pull double duty. Lip Balm. Everyone needs to keep their lips moisturized because there’s nothing attractive about flaky, cracked lips. Keeping lip balm on hand will keep your man’s lips moisturized during the dry winter days. Body Spray. This one might be a bit unexpected because when we think body sprays we often think about women’s body sprays. But just like women don’t always want to use perfume every day, neither do men. Axe body sprays are made specifically for men and will keep them smelling great and feeling fresh longer than wearing deodorant alone. Now’s the time to stock up on some of the top beauty products for men at Randalls so the man in your life never runs out of something he needs and spends the rest of the day smelling like spring rain. 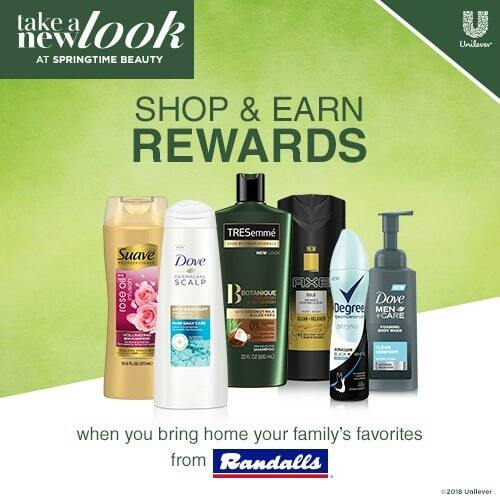 From now thru 5/31/2018, when you spend $30 or more on some of the top beauty products for men like Dove for Men, Degree, and Axe plus other beauty products for the entire family, you’ll receive a $10 digital reward of your choice (either a Visa Rewards virtual gift card or a FandangoNOW reward). 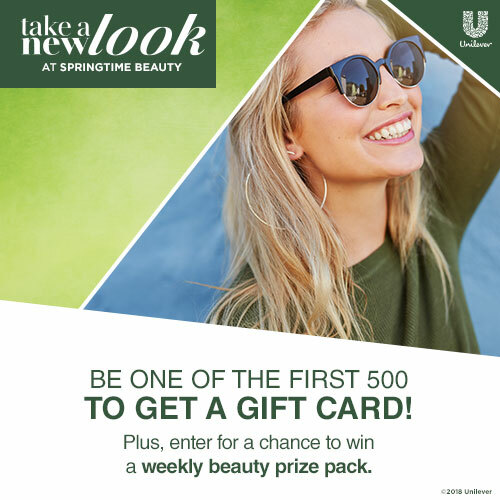 To take advantage of this deal, just take a photo of your receipt and upload it to TakeANewLook.com to receive your $10 reward. This deal is available in Texas at Randalls stores, but if you’re not near Randalls you can also take advantage of this offer at your local Albertsons, Safeway, Vons/Pavilions, Jewel-Osco, or Tom Thumb. The first 500 people to enter will get a $10 gift card (while supplies last)! One weekly winner will be chosen at random for 13 weeks and will receive a $400 prize pack. Do you have anything else you would add to this list of the top beauty products for men? Share it with me on Facebook!